Need a new roofing system installed on your building? Every roof has a life cycle and there comes a point in time when it makes sense to stop repairing and replace instead. 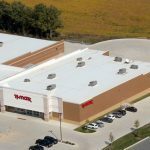 Because a roof installation is often a large, capital expense, we realize that building owners and facility owners need to feel comfortable in their decision. Our job is to help you feel comfortable moving forward with the installation. Once we’ve agreed upon a plan and timeline, our men will begin work. But, communication doesn’t stop once work has begun. If any issues arise, whether weather, unforeseen building conditions, or an unexpected change in your operations – we’ll communicate with you and take whatever steps are necessary to conform to the situation. Have a question along the way? We will answer or address questions or concerns at any time and make adjustments immediately. Once you’re ready to move forward, we’ll meet with you to determine a plan that has the least amount of disruption to your day-to-day business. We’ll adapt our approach to fit the unique environment of your facility and working practices. We will conform to your safety standards, working hours, parking limitations building access and other standards you may have. 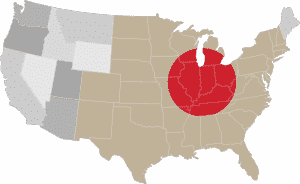 Whether you’re an urban retail location with heavy traffic or you’re a distribution or manufacturing center that operates 24-hours a day, we will accommodate your needs. 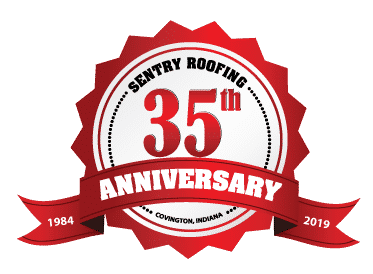 What to expect from Sentry Roofing? Interested in warranty information for a New Roofing System from Duro-Last, Firestone or our other distributors? Once you’re ready to move forward, we’ll meet with you to determine a plan that has the least amount of disruption to your day-to-day business. We’ll adapt our approach to fit the unique environment of your facility and working practices. We will conform to your safety standards, working hours, parking limitations building access and other standards you may have. Safety is our #1 priority. Our roofing crews have been fully trained and tested to follow roofing safety standards to ensure safety on, off and around your building. Crews will place safety flags around the edges of the buildings rooftop and caution tape to block off any areas where debris may fall on the ground below. After our safety plan is in place we will have the roofing system materials and tools delivered to the job site. Our roofing crew will then carefully move the materials and tools to the rooftop to avoid any disruption around the base or entrance of your commercial or industrial building. Your project manager or foreman will coordinate a schedule with you to avoid any disruption during your work schedule. Whether you’re an urban retail location with heavy traffic or you’re a distribution or manufacturing center that operates 24-hours a day, we will accommodate your needs. Our roofing crews will install your new roofing system in increments to ensure a water tight seal on a daily basis. Each seam is mechanically attached or fully adhered together to keep your building dry during the entire installation process. Crews will also clean any disruptive debris from the job site daily. A final rooftop and ground inspection will be done by the project manager / foreman once your rooftop installation process has been completed. This inspection will determine overall roof system quality, safety and cleanliness. Once your roof installation is complete and inspected by your project manager / foreman, the roofing system manufacturer will schedule a field tech to visit your location for a final quality and safety inspection. 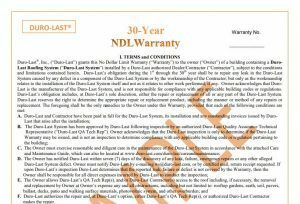 Following the manufacturer approval of the roofs quality and safety, the manufacture will issue your roof system warranty. When we receive your warranty we will then send it to you along with additional information and photos of your project. Request a roof system installation or replacement today!